An extremely popular local band, featuring some of the key players in the Cornish music scene. 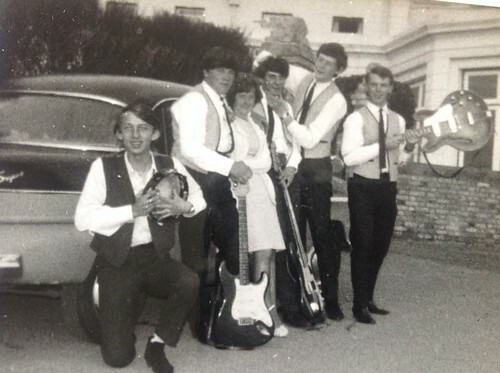 The band started out in 1963 and began by playing for free during the intervals of more well known local bands, such as The Druids from Bodmin. 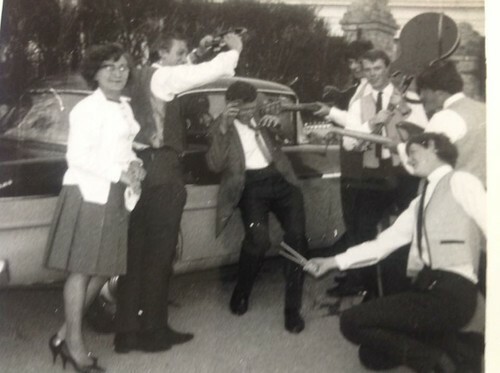 In 1964 the band entered and won the annual Rock and Rhythm contest. 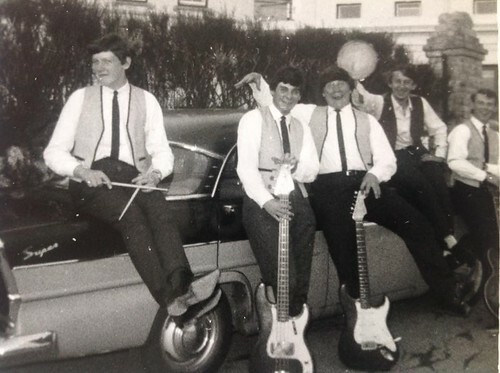 The week prior to the contest The Shadows released “Theme For Young Lovers” and The Beatles “Can’t Buy Me Love”, teenage guitar protégée Alan Hodge quickly worked the songs out and The Jaguars won the 1964 contest. 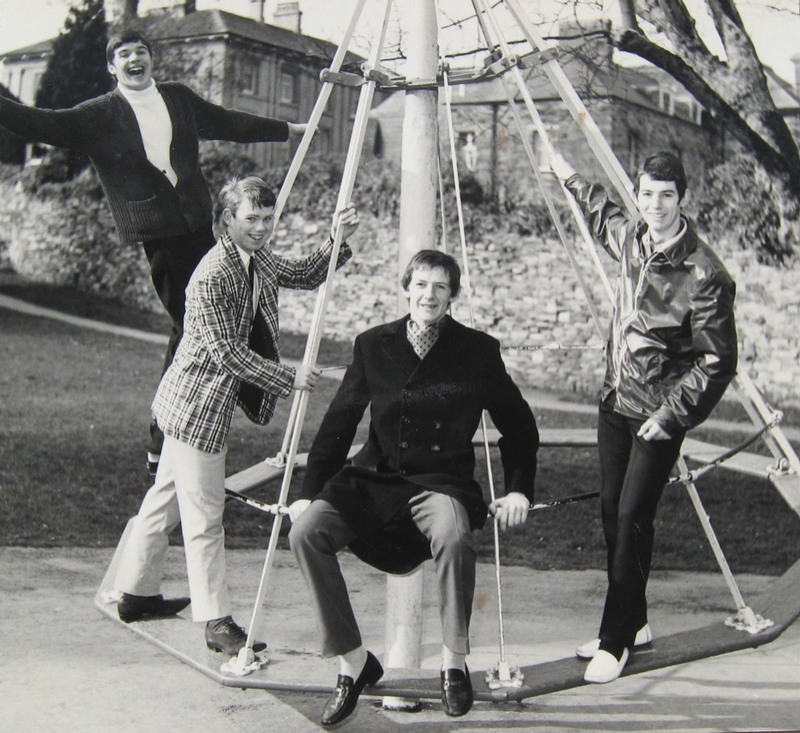 That same year the band appeared twice on Westcountry Television and began to build up a big local following. 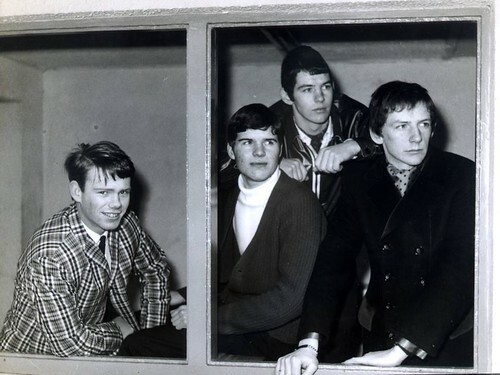 In 1966 Tony and Al would form The Onyx and the band temporary ceased to exist. 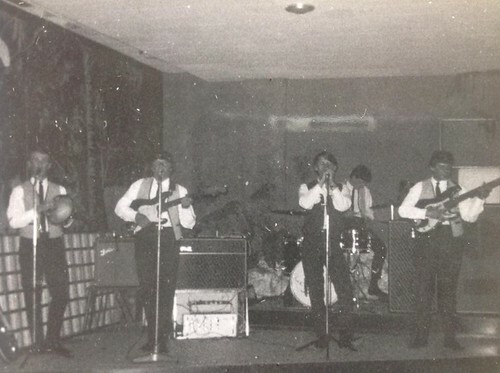 Cliff and Fritz decided to keep the band going and brought in John Pearn and Chris Robins. The previous line-up played more in the pop-rock vein, but the new line-up took the Jaguars into a more harmony led direction with Cliff provided falsetto vocals. The rest of the band also shared vocals. 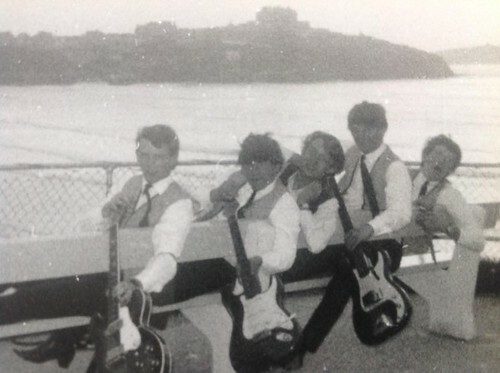 The new line-up would once again become a regular fixture on the Cornish music scene, playing all the main venues in the county and supported big name visiting acts including Four Pennies, Wayne Fontana, Pretty Things, Sounds Incorporated, Dave Berry, and Brian Poole. 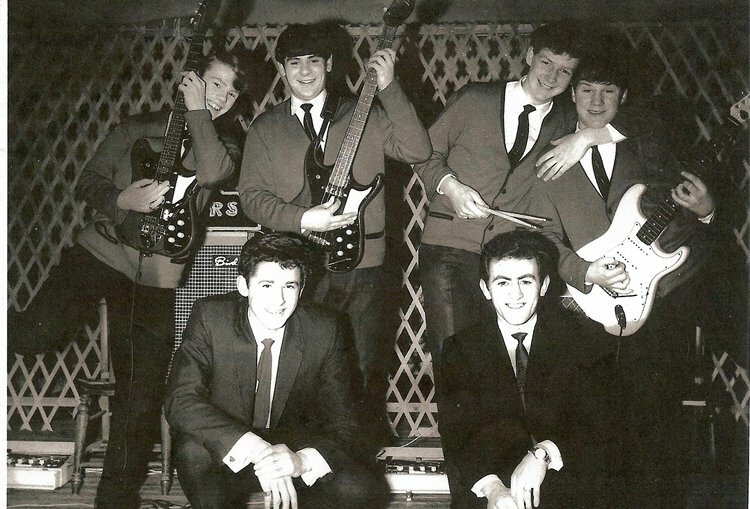 The band was run like a business by Tony Webb, Cliff’s father, and performed as a semi-professional outfit. The Jaguars could usually be found on Thursday at Winter Gardens and Friday at Blue Lagoon. At the Winter Gardens the band performed at a ‘surf night’, complete with sand on the stage! 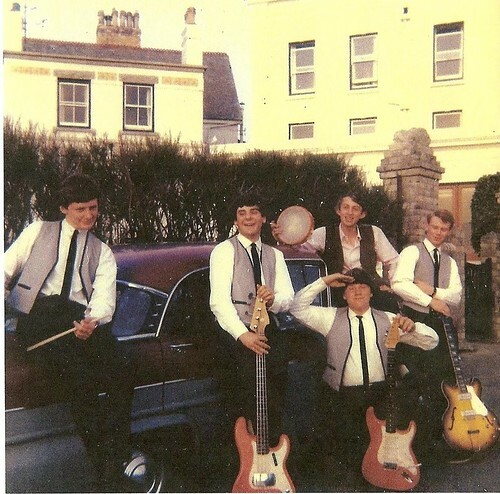 They would also tour outside of Cornwall and weekends might take them to the Park Ballroom, Plymouth where they supported Geno Washington or the 400 Club, Torquay. It was at the 400 Club where Chris had the embarrassment of his trousers being pulled down on stage by Jimmy Savill, who the band was on the bill with. 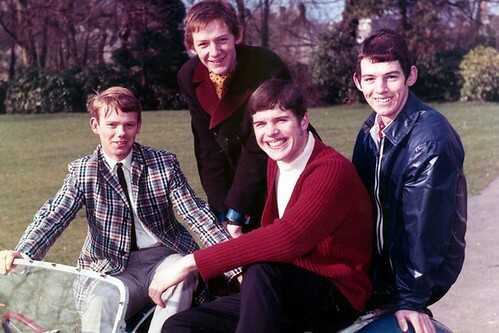 Dave Bunday joined the band in the summer of 1967 after leaving The Other Five and recovering from TB, replacing Fritz. 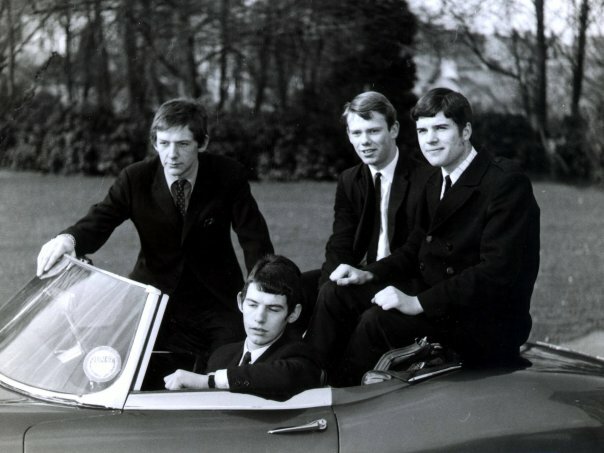 He remained with the band until they broke up in early 1968. 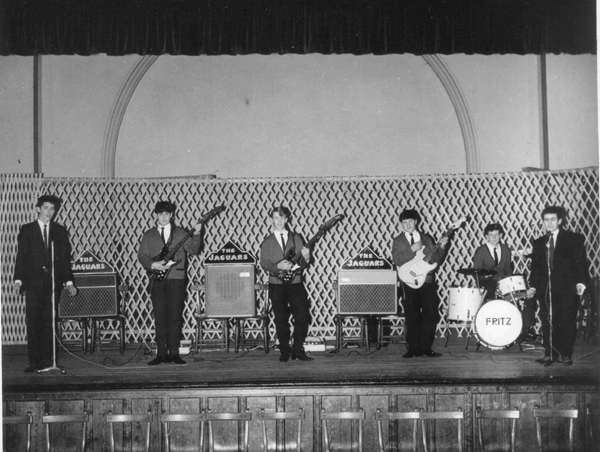 The band was known for their close harmonies Beach Boys material. When it all clicked the band were outstanding and on one occasion while performing a gig at RNAS Culdrose they received a standing ovation that seemed to last for two or three minutes! 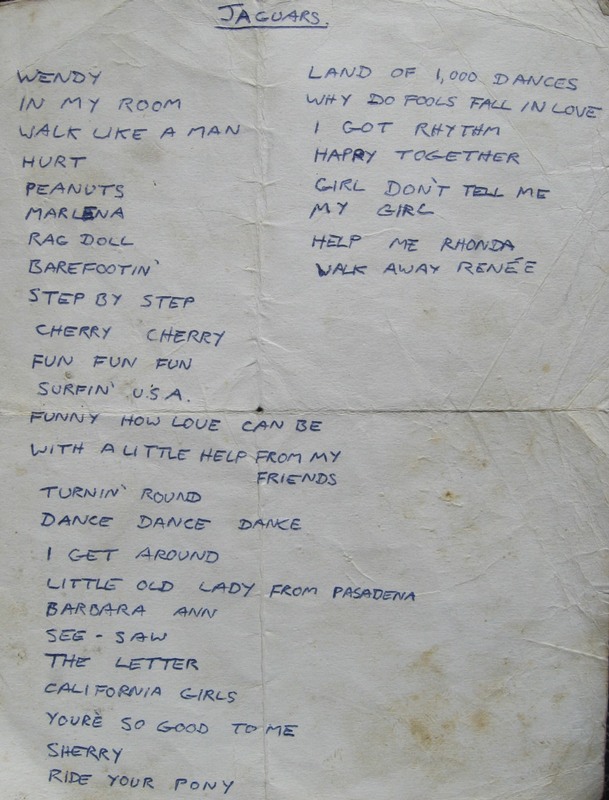 Other stand-out gigs included supporting John Peel’s Perfumed Garden (with Marc Bolan before the glam-rock days) at Exeter University and playing at Jimmy Savile’s famed 400 club in Torquay. After the Jaguars disbanded John and Chris would go on to form Illinois State. 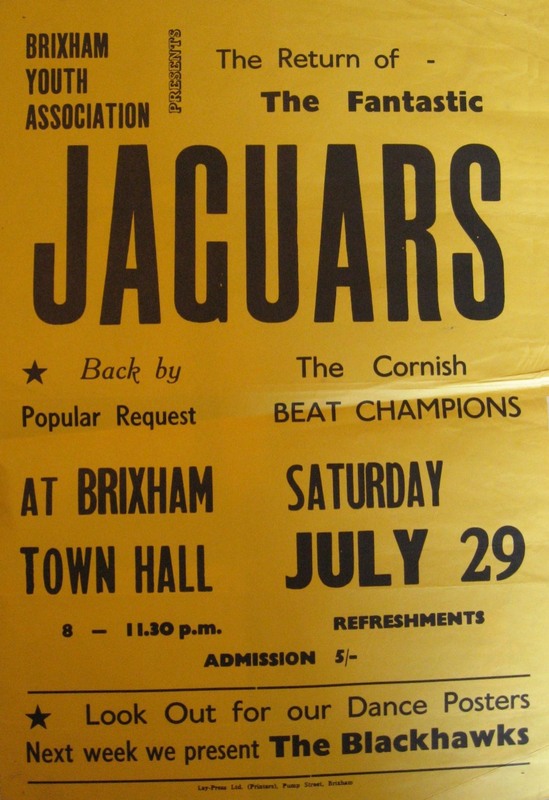 The Jaguars re-formed in 2012, initially just to play at a reunion concert at Bodmin Jail organised by Frank Cory for his old band, The Gunslingers. Back in the 1960s, Chris Robins, who was originally from St Austell but now lives near Redruth, was the lead vocalist of The Jaguars, and he and fellow members John Pearn and Cliff Webb, both of Bodmin, have teamed up with bass player Mike Blackborow from Bodmin and drummer Chris England from Sticker, to re-form the group. 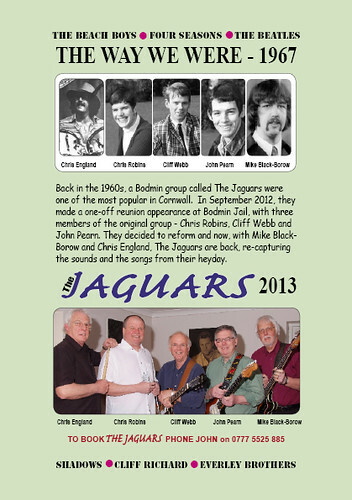 John Pearn said: “We decided to re-form the Jaguars after the one-off gig at the Jail. We all agreed that we had enjoyed it and just decided to carry on.“We rehearsed long and hard to work out all the harmonies we used to sing on songs such as Surfin' USA, Big Girls Don't Cry, Walk Like a Man, and Barbara Ann. "Obviously we're all a lot older but it's all come together really well, and one of the big advantages now is that sound equipment has improved so much since the old days. The difficulty is that our backs aren't as strong as they used to be!" The Jaguars performing Surfing USA & Barbara Ann at the Bodmin Jail club Friday April 19th 2013. 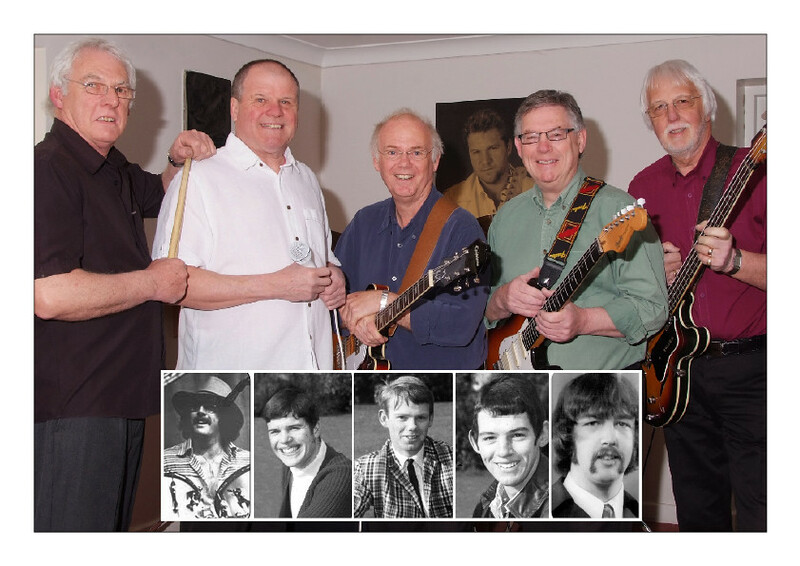 Lead vocal, Chris Robins; bass guitar, Mike Black-Borow; rhythm guitar, Cliff Webb; lead guitar, John Pearn; drums, Chris England.